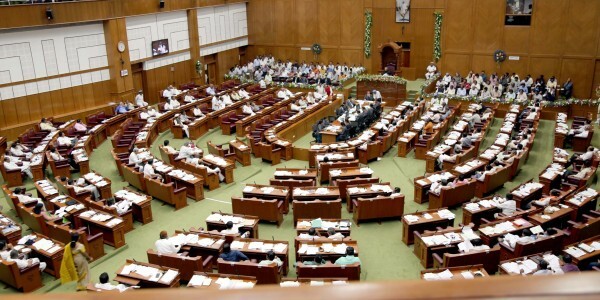 The winter session at Belagavi was rocked by the use of mobiles during the session in house, Speaker Kagodu Thimappa suspended Prabhu Chavan, BJP legislator whose act caught on TV camera triggered a storm and pulled up Housing Minister M H Ambareesh and Congress member S S Mallikarjun for using phones in the House. The use of mobile phones in the state assembly is banned, he said. In India, if you join congress there are more chances for you can rule others :), but if you join other partys, there are less chances you even get elected. When few months back these legislatures caught watching some obscene videos in vidhan saudha at Bangalore mobiles were not banned now when they watched Priyanka Gandhi its now banned. For congress Gandhis are above all the laws of the land.